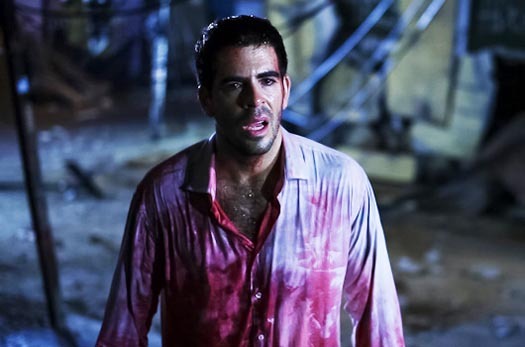 Nowadays Eli Roth's name is synonymous with the horror genre. His road to stardom came in 2002 with his film debut, Cabin Fever, which he wrote, directed and produced on a shoestring budget of $1.5 million. Since then he's made a name for himself by directing and producing hits like Hostel, Hostel: Part II, The Last Exorcism, The Man with the Iron Fists and many more. As an actor he's appeared in Quentin Tarantino's Death Proof and Inglourious Basterds. This week, he returns to the big screen by headlining Nicolas Lopez's Chilean disaster movie Aftershock. In the film, Roth and his Chilean friends travel to the coastal town of Valparaiso to party it up when a violent earthquake brings the entire city to chaos. The boys must now run for their lives from looters, escaped convicts and the inevitable aftershocks. I got to chat with Roth about his experience in Chile, learning Spanish and his long-awaited return to the director’s chair with The Green Inferno, which he shot in the jungles of Peru. And for those of you who are just like me, a big scaredy-cat, Roth gives us the lowdown on which horror films to watch and how to watch them. 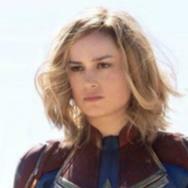 Movies.com: Chile takes center stage in the film. Tell us about your experience in Chile. Eli Roth: We wanted to show the beauty of Chile. It's very much like Los Angeles. People were shocked when they arrived at Chile, they said, "This is like Santa Barbara." If you're in Los Feliz and you're in Santiago it's hard to tell the difference. I went down to cowrite the script with Nicola [Lopez] and look for locations. I was there for a week at first but I've been living there on and off for the past year. I love Chile. When I went there in December everyone was having Christmas pool parties. I went out to clubs and parties and it's really just like the beginning of the movie. People party until six in the morning in Chile. Movies.com: Not everyone can hang that long. Roth: You think you can't but when you're presented with the opportunity you somehow rise to the occasion. 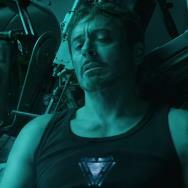 Movies.com: So what were the intentions behind this movie? Roth: We set out to do a movie that we could do on a low budget and that we had complete control over. I said, we'll write it together, I'll produce it and you'll direct it and we'll put out friends in it and discover new talent. We used the cast from Nico's other films just like [Pedro] Almodovar used to do in the old days. We decided to start Chilewood, instead of going to Prague or Canada. It's so expensive to make movies. Chile could work as a double for L.A., it's very production friendly and there's terrific talent down there. The food is delicious, the wine is great and it's easy to live there. The government was very supportive of us. We said, we want to do for Chile what Peter Jackson did for New Zealand. They shut down streets for us and really made it easy for us to shoot there. Chile has become one of the energy centers of the world. Movies.com: Did you learn any Spanish in Chile? You're also in Lopez's next film Que pena tu famillia. Do you speak Spanish in the movie? Roth: I do speak Spanish in the movie, which was a painful process. I speak French, Italian, some Russian and I'm learning Spanish now. I learned… gringo. C*nch* tu Madre. Que tal. Hola. I understand Spanish enough to know when they're talking sh*t about me. Movies.com: For those of us who have lived in California our whole lives, earthquakes are no joke and are terrifying. Roth: Good! We fictionalized the earthquake but went off real events that happened in Chile when it was hit with an 8.8 earthquake. We wanted to do everything practical. Some disaster movies look like you're watching someone else play video games. They're fun but it's not real. We really wanted it to be real and we really dropped stuff and destroyed things. Well, the safety laws are slightly different in Chile so the stuff we got away with was unbelievable. Thankfully no one got hurt but we re-created things we saw from recorded footage at this night club. So when you see people getting crushed by speakers or a guy getting his hand cut off, it's all real. Movies.com: Have you experienced any earthquakes? Roth: I have. I was in one when I first moved to California. Not the Northridge earthquake, I moved here after 1994. This one was a minor one but big enough that all the car alarms went off and the apartment became a water park. I actually had a girl in my room at the time and it's scary. At first we're laughing and then there's a minute where go, OK stop, and it doesn’t. So it suddenly occurs to you that the ceiling can cave in, so we stood on the doorway and we're like, "Are we idiots for doing this?" And then it stopped and we're like, "Are we supposed to stay here?" It was just freakish. I know a lot of people that lived through Northridge that won’t sleep naked anymore. That's why most girls I know won't sleep naked anymore… that and spiders. Movies.com: For a man that's known for making scary movies, does anything scare you anymore? Roth: Everything scares me. Are you kidding me? I get freaked out about everything. Gun control, the lack thereof terrifies me, that people are just going around shooting and that no one is doing anything to stop it. That senators are too afraid to vote it down and that ultimately people are just going to 3D print their own guns. It's really scary. Also, there's a type of fanaticism that you now see on Twitter, where people are getting caught up in a cause they know nothing about. That's really what Green Inferno is all about. Kids getting so wrapped up in something and attacking based on what they see on Twitter. People just want to retweet and hashtag but no one really wants to do any research anymore. I see that on Twitter all the time. You make some comment or a joke and people start throwing this negative spume and that becomes the story for headlines. Then you watch celebrities apologizing for their tweets, it's like wow, culture is over. The whole fun of culture is that you can make jokes and the whole fun of jokes is that they are going to [upset] some people and they can be offensive. Everyone is so terrified of being labeled a racist. It's just this absurd culture. Aftershock is also about that, it's about moral choices. Movies.com: For The Green Inferno you traveled deep into the Peruvian jungle to a remote village where you encountered natives that had never seen a movie. Is it true that you treated them to a screening of Cannibal Holocaust and that they thought it was a comedy? Roth: Yeah, well it didn’t exactly happen that way but that's the gist of it. We found the very last village before absolute jungle. It's a 90-minute drive to this village and sometimes two hours up the river. The people that live there have never left the village and they have no running water and no electricity. There was only one TV in the village. We brought a cooler with ice and the people in the village couldn’t believe it. Watching old people freak out over ice just put everything into perspective. So the Peruvian producer actually showed them Cannibal Holocaust. He just thought, we need to know, we are going to ask them to be killing people every day and eating guts, we have to know if the village is OK with this. So, we showed them the most extreme movie, they all laughed and thought it was the funniest thing they had ever seen. Everyone wanted to be cannibals. The kids and older people signed up. Movies.com: For someone new to the horror genre, what movies would you recommend? Roth: First thing I would do is watch a horror film with a date. You can watch The Ring. 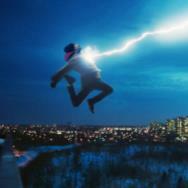 it's a great movie, the Japanese one or the remake. It's a fun movie, it moves and it's not like a '70s horror movie which some people don't like to watch because it goes at a much slower pace or some of the effects don’t hold up. I think The Ring and The Shining are two great movies. The Ring is not too hard, it's scary, it will freak you out but it's not going to traumatize you. But you got to watch it with a date, when you watch a horror movie with a date part of the fun is holding that person's hand, burying your head and not looking at the screen. The Shining is weird and strange and creepy and a classic movie but I wouldn’t start off with something like Evil Dead or Texas Chainsaw Massacre or John Carpenter's The Thing. I would go for something that's like an exciting, scary, fun ride. Oh, if you want gore watch Evil Dead 2, it's weird how Evil Dead 2 is kind of a remake of Evil Dead, but it's fun and silly. But for an introduction movie to dip your toes in the water, I think you should watch Naomi Watt's and Gore Verbinski's The Ring or Hideo Nakata's Ring. It's like going on your first roller-coaster; you don’t want to get on the scariest ride ever. 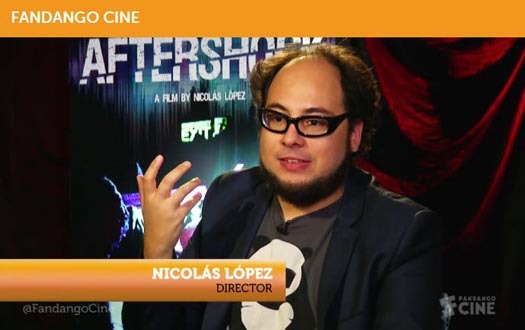 Our friends over at Fandango Cine recently chatted with Aftershock director Nicolas Lopez. Check out the exclusive interview in this week's Cine Buzz show. Click on the image below.